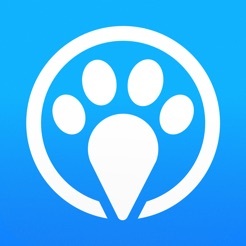 Take the best possible care of your furry friend - track all your fun walks, each meal & all your dogs business. 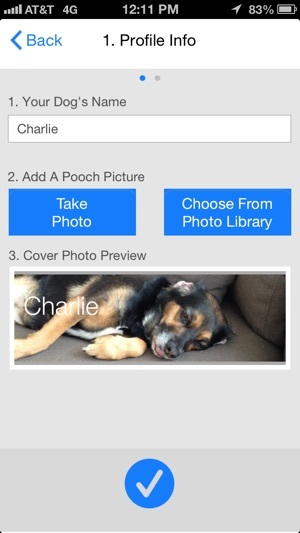 Share important info with fellow caretakers instantly & keep them up to date on your pooch. June 2017- wanted to see if the bugs were worked out, so I downloaded it again just now and...nope it doesn't. 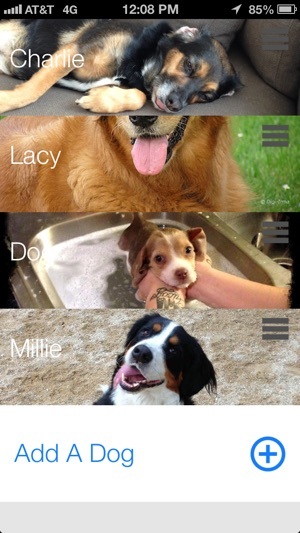 Can't add or delete Dogs. Can't log in meals, meds, or bathrooms. If you're looking for a good one puddle and pile is what I use. It doesn't track meds or walks I use walk for a dog for walking. But it's good and it has notifications. Talked to the dev guy several times, he promised upgrades and updates but he's Long since either given up or can't figure it out. Wish he would bc it was awesome, when it worked! Okay so I've been using this app for around a year now and my husband and I have been using it religiously. Great! So what's the problem? Just like a lot of the other reviews the system was so ridiculously bug-y that it's was nearly impossible to use. 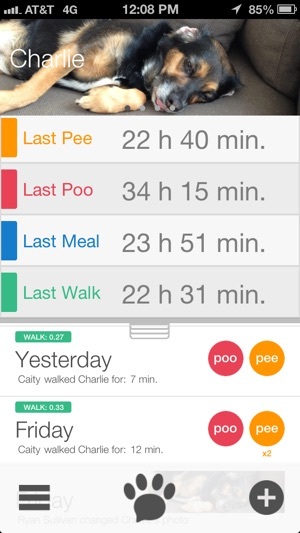 For many months I was trying to find an app that has the same features - my husband and often have different schedules and need something that connects between the two of us for our dog's bathroom schedule - but there was no other app. One day I was waiting forever for the app to sync up, when I realized my photo had changed - updated to my latest Facebook photo. I think that is what is causing all of the loading issues. 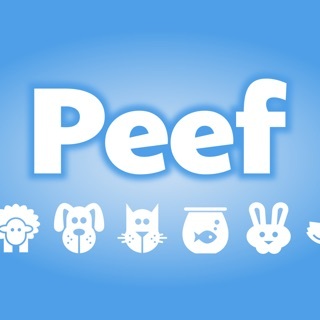 I created an account (free) outside of Facebook (which meant I had to start all over, creating a new pet in the system), my husband signed up too and the app has worked super fast and accurately ever since! 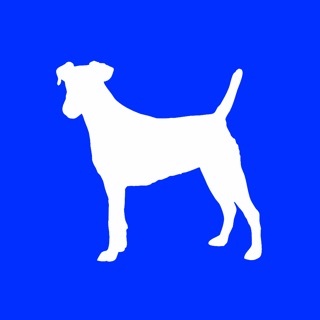 The other cause could be that after a certain amount of data (walks, meals, meds) on my dog, the app gets bogged down - so creating a new pet may have also solved the issue. My theory is it was having trouble with the Facebook connection. Either way, it works now and that makes me happy. It's nice to be able to edit the time for past events, but it doesn't always stick. If you refresh too quickly or look at it the wrong way (or so it seems), your event will go back to the original time. You also can't edit times of walks, so if you forget to log a walk, you have to enter each individual pee or poo and then edit their times one by one while keeping your fingers crossed that the edits stick. It's both annoying and clutters the data you're collecting for the day. 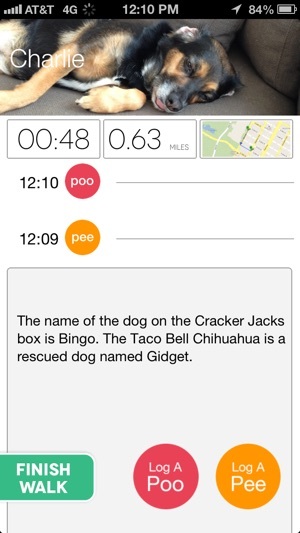 It's also pretty useless for anything but figuring out what time your dog did something today. Old data isn't aggregated or displayed in a usable way (just a list of everything that happened that day - you have to click on individual events to see the times, which are often inexplicably incorrect, even if you succeeded in getting them to display correctly on the day you entered them). It seems like the least such a buggy app could do is let us export our data to use it as we see fit, but unfortunately that's not an option. 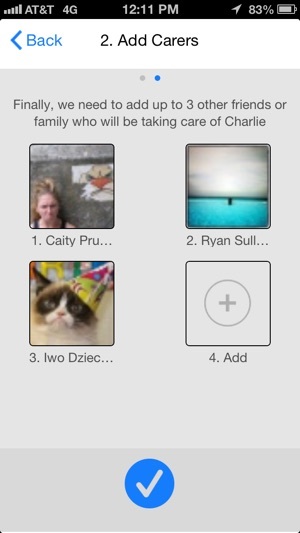 Just about the only thing this app has going for it is a stark lack of competitors. Hopefully someone catches on soon and builds a better one.